Did you know that we have Catholic Hispanics and Latinos living in Maine? Did you know that we have Catholic Lebanese living in Maine? Did you know that we have Catholic Africans living in Maine? Maine, like many other states in the union has grown due to our brothers and sisters from other countries. Many of them because they seeking asylum. You may ask why asylum? They are seeking freedom from persecution from their home countries because they practice their Catholic faith. Some of us can never imagine what that means, but we can certainly assist those that have to be welcomed in Maine. 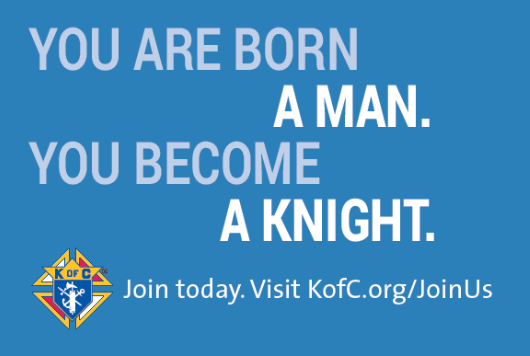 At this very moment we have councils in Maine that are extending their hands to these families for various reasons and through their efforts may cause them to join our ranks as brother Knights. Let do our part as well to extend our hands and reach out to those that seek our assistance. At the 135th Supreme Convention in St. Louis, Missouri held on 01 – 03 August, a historic announcement was made by Supreme Knight Carl Anderson: the introduction of the new uniform of the Fourth Degree. After careful consideration, the Board of Directors took this action motivated by the best interests of the Order as a whole and of the Fourth Degree in particular. The new uniform is part of a comprehensive and necessary effort to keep our Order relevant and attractive to men, particularly younger men. In light of this significant change, I thought it would be helpful to address some of the questions that have been asked about the new uniform.